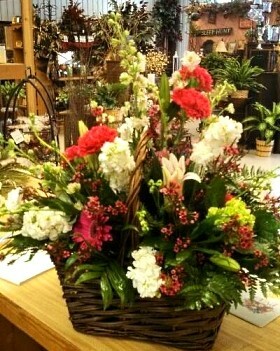 SOUTHERN GIRLS FLOWERS & GIFTS Has It All! SOUTHERN GIRLS FLOWERS & GIFTS is your premier florist serving DeQueen, Arkansas for over 30 years ~ formerly Joanie's Flowers. We hope you enjoy your online shopping experience with secure 24-hour ordering right at your fingertips. If preferred, you may call us to place orders direct at 870-642-6604. 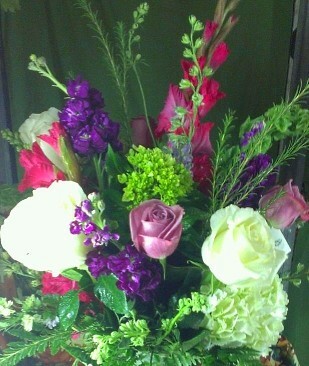 Order your beautiful, one-of-a-kind Wedding Flowers and Party Flowers from SOUTHERN GIRLS FLOWERS & GIFTS. We will ensure your special day is a blooming success!! Call us in advance at 870-642-6604 to set up an appointment for a consultation. We also have a bridal gift registry for your convenience. Shop for a variety of Unique Gifts, including Carriage Candle Company Candles, a full line of Aromatique bath products & candles, Ty beanie babies, Old Dutch Copper, and Lampe Berger. We also offer a variety of picture frames, gift items and home accessories, plush stuffed animals, balloons, scented candles, silk arrangements, baby gifts, candy & chocolates, Willow Tree gifts; Circle E Candles and more! At our shop, we create custom fruit baskets and gourmet baskets, as well as offering lots of gourmet food items, a new line of soups, dips, cheese ball, and chicken salad mixes, delicious fudge and Otis Spunkmeyer Cookies. Don't forget about our gourmet popcorn in assorted flavors and gourmet pecans boxed in camouflage, Razorback and Jack Daniel designs. Add them to a gift baskets for the guy in your life. Call or visit us today… we look forward to meeting you! Thank you for visiting our website for flowers delivered fresh from a local De Queen, AR florist and easy online ordering available 24 hours a day.